The British Army is the principal land warfare force of the United Kingdom, a part of British Armed Forces. As of 2018[update], the British Army comprises just over 81,500 trained regular (full-time) personnel and just over 27,000 trained reserve (part-time) personnel. The modern British Army traces back to 1707, with an antecedent in the English Army that was created during the Restoration in 1660. The term British Army was adopted in 1707 after the Acts of Union between England and Scotland. Although all members of the British Army are expected to swear (or affirm) allegiance to Elizabeth II as their commander-in-chief, the Bill of Rights of 1689 requires parliamentary consent for the Crown to maintain a peacetime standing army. Therefore, Parliament approves the army by passing an Armed Forces Act at least once every five years. The army is administered by the Ministry of Defence and commanded by the Chief of the General Staff. The British Army has seen action in major wars between the world's great powers, including the Seven Years' War, the Napoleonic Wars, the Crimean War and the First and Second World Wars. Britain's victories in these decisive wars allowed it to influence world events and establish itself as one of the world's leading military and economic powers. Since the end of the Cold War, the British Army has been deployed to a number of conflict zones, often as part of an expeditionary force, a coalition force or part of a United Nations peacekeeping operation. Until the English Civil War, England never had a standing army with professional officers and careerist corporals and sergeants. It relied on militia organized by local officials, or private forces mobilized by the nobility, or on hired mercenaries from Europe. From the later Middle Ages until the English Civil War, when a foreign expeditionary force was needed, such as the one that Henry V of England took to France and that fought at the Battle of Agincourt (1415), the army, a professional one, was raised for the duration of the expedition. During the English Civil War, the members of the Long Parliament realised that the use of county militia organised into regional associations (such as the Eastern Association), often commanded by local members of parliament (both from the House of Commons and the House of Lords), while more than able to hold their own in the regions which Parliamentarians controlled, were unlikely to win the war. So Parliament initiated two actions. The Self-denying Ordinance, with the notable exception of Oliver Cromwell, forbade members of parliament from serving as officers in the Parliamentary armies. This created a distinction between the civilians in Parliament, who tended to be Presbyterian and conciliatory to the Royalists in nature, and a corps of professional officers, who tended to Independent politics, to whom they reported. 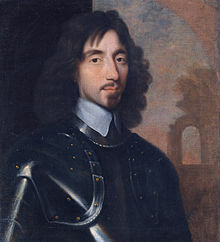 The second action was legislation for the creation of a Parliamentary-funded army, commanded by Lord General Thomas Fairfax, which became known as the New Model Army (originally new-modelled Army). While this proved to be a war winning formula, the New Model Army, being organized and politically active, went on to dominate the politics of the Interregnum and by 1660 was widely disliked. The New Model Army was paid off and disbanded at the Restoration of the monarchy in 1660. For many decades the excesses of the New Model Army under the Protectorate of Oliver Cromwell was a horror story and the Whig element recoiled from allowing a standing army. The militia acts of 1661 and 1662 prevented local authorities from calling up militia and oppressing their own local opponents. Calling up the militia was possible only if the king and local elites agreed to do so. Charles II and his Cavalier supporters favoured a new army under royal control; and immediately after the Restoration began working on its establishment. The first English Army regiments, including elements of the disbanded New Model Army, were formed between November 1660 and January 1661 and became a standing military force for Britain (financed by Parliament). The Royal Scots and Irish Armies were financed by the parliaments of Scotland and Ireland. Parliamentary control was established by the Bill of Rights 1689 and Claim of Right Act 1689, although the monarch continued to influence aspects of army administration until at least the end of the nineteenth century. After the Restoration Charles II pulled together four regiments of infantry and cavalry, calling them his guards, at a cost of £122,000 from his general budget. This became the foundation of the permanent English Army. By 1685 it had grown to 7,500 soldiers in marching regiments, and 1,400 men permanently stationed in garrisons. A rebellion in 1685 allowed James II to raise the forces to 20,000 men. There were 37,000 in 1678, when England played a role in the closing stage of the Franco-Dutch War. 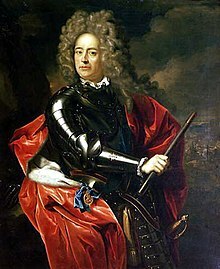 After William and Mary's accession to the throne England involved itself in the War of the Grand Alliance, primarily to prevent a French invasion restoring James II (Mary's father). In 1689, William III expanded the army to 74,000, and then to 94,000 in 1694. Parliament was very nervous, and reduced the cadre to 7000 in 1697. Scotland and Ireland had theoretically separate military establishments, but they were unofficially merged with the English force. By the time of the 1707 Acts of Union, many regiments of the English and Scottish armies were combined under one operational command and stationed in the Netherlands for the War of the Spanish Succession. Although all the regiments were now part of the new British military establishment, they remained under the old operational-command structure and retained much of the institutional ethos, customs and traditions of the standing armies created shortly after the restoration of the monarchy 47 years earlier. The order of seniority of the most-senior British Army line regiments is based on that of the English army. Although technically the Scots Royal Regiment of Foot was raised in 1633 and is the oldest Regiment of the Line, Scottish and Irish regiments were only allowed to take a rank in the English army on the date of their arrival in England (or the date when they were first placed on the English establishment). 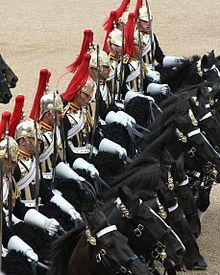 In 1694, a board of general officers was convened to decide the rank of English, Irish and Scots regiments serving in the Netherlands; the regiment which became known as the Scots Greys were designated the 4th Dragoons because there were three English regiments raised prior to 1688, when the Scots Greys were first placed in the English establishment. In 1713, when a new board of general officers was convened to decide the rank of several regiments, the seniority of the Scots Greys was reassessed and based on their June 1685 entry into England. At that time there was only one English regiment of dragoons, and the Scots Greys eventually received the British Army rank of 2nd Dragoons. After 1700 British continental policy was to contain expansion by competing powers such as France and Spain. Although Spain was the dominant global power during the previous two centuries and the chief threat to England's early transatlantic ambitions, its influence was now waning. The territorial ambitions of the French, however, led to the War of the Spanish Succession and the Napoleonic Wars. Although the Royal Navy is widely regarded as vital to the rise of the British Empire, the British Army played an important role in the formation of colonies, protectorates and dominions in the Americas, Africa, Asia, India and Australasia. British soldiers captured strategically-important territories, and the army was involved in wars to secure the empire's borders and support friendly governments. Among these actions were the Seven Years' War, the American Revolutionary War, the Napoleonic Wars, the First and Second Opium Wars, the Boxer Rebellion, the New Zealand Wars, the Sepoy Rebellion of 1857, the first and second Boer Wars, the Fenian raids, the Irish War of Independence, interventions in Afghanistan (intended to maintain a buffer state between British India and the Russian Empire) and the Crimean War (to keep the Russian Empire at a safe distance by aiding Turkey). Like the English Army, the British Army fought the kingdoms of Spain, France (including the Empire of France) and the Netherlands for supremacy in North America and the West Indies. With native and provincial assistance, the army conquered New France in the North American theatre of the Seven Years' War and suppressed a Native American uprising in Pontiac's War. The British Army was defeated in the American Revolutionary War, losing the Thirteen Colonies but retaining The Canadas and The Maritimes as British North America. The British Army was heavily involved in the Napoleonic Wars, participating in a number of campaigns in Europe (including continuous deployment in the Peninsular War), the Caribbean, North Africa and North America. The war between the British and the First French Empire of Napoleon Bonaparte stretched around the world; at its peak in 1813, the regular army contained over 250,000 men. A coalition of Anglo-Dutch and Prussian armies under the Duke of Wellington and Field Marshal von Blücher finally defeated Napoleon at Waterloo in 1815. The English were involved politically and militarily in Ireland since receiving the Lordship of Ireland from the pope in 1171. 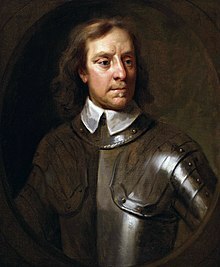 The campaign of English republican Protector Oliver Cromwell involved uncompromising treatment of the Irish towns (most notably Drogheda and Wexford) which supported the Royalists during the English Civil War. The English Army (and the subsequent British Army) remained in Ireland primarily to suppress Irish revolts or disorder. In addition to its conflict with Irish nationalists, it was faced with the prospect of battling Anglo-Irish and Ulster Scots in Ireland who were angered by unfavourable taxation of Irish produce imported into Britain. With other Irish groups, they raised a volunteer army and threatened to emulate the American colonists if their conditions were not met. Learning from their experience in America, the British government sought a political solution. The British Army fought Irish rebels—Protestant and Catholic—primarily in Ulster and Leinster (Wolfe Tone's United Irishmen) in the 1798 rebellion. In addition to battling the armies of other European empires (and its former colonies, the United States, in the War of 1812), the British Army fought the Chinese in the first and second Opium Wars and the Boxer Rebellion, Māori tribes in the first of the New Zealand Wars, Nawab Shiraj-ud-Daula's forces and British East India Company mutineers in the Sepoy Rebellion of 1857, the Boers in the first and second Boer Wars, Irish Fenians in Canada during the Fenian raids and Irish separatists in the Anglo-Irish War. The increasing demands of imperial expansion and the inadequacy and inefficiency of the underfunded British Army, Militia, Yeomanry and Volunteer Force after the Napoleonic Wars led to the late-19th-century Cardwell and Childers Reforms, which gave the army its modern shape and redefined its regimental system. The 1907 Haldane Reforms created the Territorial Force as the army's volunteer reserve component, merging and reorganising the Volunteer Force, Militia and Yeomanry. Infantrymen of the Middlesex Regiment with horse-drawn Lewis gun carts returning from the trenches near Albert, France in September 1916. In the background is a line of supply lorries. 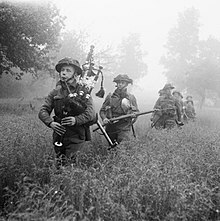 Led by their piper, men of the 7th Battalion, Seaforth Highlanders (part of the 46th (Highland) Brigade), advance during Operation Epsom on 26 June 1944. Great Britain has been challenged by other powers, primarily the German Empire and the Third Reich during the 20th century. A century earlier it vied with Napoleonic France for global pre-eminence, and Hannoverian Britain's natural allies were the kingdoms and principalities of northern Germany. By the middle of the 19th century, Britain and France were allies in preventing Russia's appropriation of the Ottoman Empire (although the fear of French invasion led shortly afterwards to the creation of the Volunteer Force. By the first decade of the 20th century, the United Kingdom was allied with France (by the Entente Cordiale) and Russia (which had a secret agreement with France for mutual support in a war against the Prussian-led German Empire and the Austro-Hungarian Empire). When the First World War broke out in August 1914 the British Army sent the British Expeditionary Force (BEF), consisting mainly of regular army troops, to France and Belgium. The fighting bogged down into static trench warfare for the remainder of the war. In 1915 the army created the Mediterranean Expeditionary Force to invade the Ottoman Empire via Gallipoli, an unsuccessful attempt to capture Constantinople and secure a sea route to Russia. World War I was the most devastating in British military history, with nearly 800,000 men killed and over two million wounded. Early in the war, the BEF was virtually destroyed and was replaced first by volunteers and then a conscript force. Major battles included those at the Somme and Passchendaele. 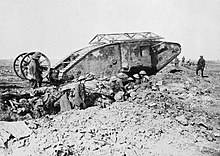 Advances in technology saw the advent of the tank (and the creation of the Royal Tank Regiment) and advances in aircraft design (including the creation of the Royal Flying Corps) which would be decisive in future battles. Trench warfare dominated Western Front strategy for most of the war, and the use of chemical weapons (disabling and poison gases) added to the devastation. The Second World War broke out in September 1939 with the Russian and German Army's invasion of Poland. British assurances to the Poles led the British Empire to declare war on Germany. As in the First World War, a relatively-small BEF was sent to France and hastily evacuated from Dunkirk as the German forces swept through the Low Countries and across France in May 1940. After the British Army recovered from its earlier defeats, it defeated the Germans and Italians at the Second Battle of El Alamein in North Africa in 1942–1943 and helped drive them from Africa. It then fought through Italy and, with the help of American, Canadian, Australian, New Zealand, Indian and Free French forces, took part in the D-Day invasion of Normandy on 6 June 1944; nearly half the Allied soldiers were British. In the Far East, the British Army rallied against the Japanese in the Burma Campaign and regained the British Far Eastern colonial possessions. 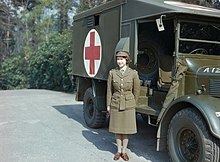 After the Second World War the British Army was significantly reduced in size, although National Service continued until 1960. This period saw decolonisation begin with the partition and independence of India and Pakistan, followed by the independence of British colonies in Africa and Asia. Although the British Army was a major participant in Korea in the early 1950s and Suez in 1956, during this period Britain's role in world events was reduced and the army was downsized. The British Army of the Rhine, consisting of I (BR) Corps, remained in Germany as a bulwark against Soviet invasion. The Cold War continued, with significant technological advances in warfare, and the army saw the introduction of new weapons systems. Despite the decline of the British Empire, the army was engaged in Aden, Indonesia, Cyprus, Kenya and Malaya. In 1982, the British Army and the Royal Marines helped liberate the Falkland Islands during the conflict with Argentina after that country's invasion of the British territory. In the three decades following 1969, the army was heavily deployed in Northern Ireland's Operation Banner to support the Royal Ulster Constabulary (later the Police Service of Northern Ireland) in their conflict with republican paramilitary groups. The locally recruited Ulster Defence Regiment was formed, becoming home-service battalions of the Royal Irish Regiment in 1992 before it was disbanded in 2006. Over 700 soldiers were killed during the Troubles. Following the 1994–1996 IRA ceasefires and since 1997, demilitarisation has been part of the peace process and the military presence has been reduced. On 25 June 2007 the 2nd Battalion of the Princess of Wales's Royal Regiment left the army complex in Bessbrook, County Armagh, ending the longest operation in British Army history. The British Army contributed 50,000 troops to the coalition which fought Iraq in the Persian Gulf War, and British forces controlled Kuwait after its liberation. Forty-seven British military personnel died during the war. The army was deployed to Yugoslavia in 1992. Initially part of the United Nations Protection Force, in 1995 its command was transferred to the Implementation Force (IFOR) and then to the Stabilisation Force in Bosnia and Herzegovina (SFOR); the commitment rose to over 10,000 troops. In 1999, British forces under SFOR command were sent to Kosovo and the contingent increased to 19,000 troops. Between early 1993 and June 2010, 72 British military personnel died during operations in the former Yugoslavian countries of Bosnia, Kosovo and Macedonia. Although there have been permanent garrisons in Northern Ireland throughout its history, the British Army was deployed as a peacekeeping force from 1969 to 2007 in Operation Banner. Initially, this was (in the wake of unionist attacks on nationalist communities in Derry and Belfast) to prevent further loyalist attacks on Catholic communities; it developed into support of the Royal Ulster Constabulary (RUC) and its successor, the Police Service of Northern Ireland (PSNI) against the Provisional Irish Republican Army (PIRA). Under the 1998 Good Friday Agreement, there was a gradual reduction in the number of soldiers deployed. In 2005, after the PIRA declared a ceasefire, the British Army dismantled posts, withdrew many troops and restored troop levels to those of a peacetime garrison. Operation Banner ended at midnight on 31 July 2007 after about 38 years of continuous deployment, the longest in British Army history. According to an internal document released in 2007, the British Army had failed to defeat the IRA but made it impossible for them to win by violence. Operation Helvetic replaced Operation Banner in 2007, maintaining fewer service personnel in a more-benign environment. Of the 300,000 troops who served in Northern Ireland since 1969, there were 763 British military personnel killed and 306 killed by the British military, mostly civilians. An estimated 100 soldiers committed suicide during Operation Banner or soon afterwards and a similar number died in accidents. A total of 6,116 were wounded. In November 2001, as part of Operation Enduring Freedom with the United States, the United Kingdom deployed forces in Afghanistan to topple the Taliban in Operation Herrick. The 3rd Division were sent to Kabul to assist in the liberation of the capital and defeat Taliban forces in the mountains. In 2006 the British Army began concentrating on fighting Taliban forces and bringing security to Helmand Province, with around 9,500 British troops (including marines, airmen and sailors) deployed at its peak—the second-largest force after that of the US. In December 2012 Prime Minister David Cameron announced that the combat mission would end in 2014, and troop numbers gradually fell as the Afghan National Army took over the brunt of the fighting. Between 2001 and 26 April 2014 a total of 453 British military personnel died in Afghan operations. Operation Herrick ended with the handover of Camp Bastion on 26 October 2014, but the British Army maintains a deployment in Afghanistan as part of Operation Toral. British soldiers from the 1st Battalion, Royal Regiment of Fusiliers battlegroup engage Iraqi positions with an 81mm mortar south of Basra. In 2003 the United Kingdom was a major contributor to the invasion of Iraq, sending a force of over 46,000 military personnel. The British Army controlled southern Iraq, and maintained a peace-keeping presence in Basra. All British troops were withdrawn from Iraq by 30 April 2009, after the Iraqi government refused to extend their mandate. One hundred and seventy-nine British military personnel died in Iraqi operations. The British Armed Forces returned to Iraq in 2014 as part of Operation Shader to counter the Islamic State (ISIL). The British Army maintains a standing liability to support the civil authorities in certain circumstances, usually in either niche capabilities (e.g. explosive ordance removal) or in general support of the civil authorities when their capacity is exceeded. In recent years this has been seen as army personnel supporting the civil authorities in the face of the 2001 United Kingdom foot-and-mouth outbreak, the 2002 firefighters strike, widespread flooding in 2005, 2007, 2009, 2013 and 2014 and most recently supporting the security services in Operation Temperer following the 2017 Manchester Arena bombing. The British Army has been a volunteer force since national service ended during the 1960s. Since the creation of the part-time, reserve Territorial Force in 1908 (renamed the Army Reserve in 2014) the full-time British Army has been known as the Regular Army. In January 2018 there were just over 81,500 trained Regulars and 27,000 Army Reservists. Following the Strategic Defence and Security Review 2010 (SDSR) and the Strategic Defence and Security Review 2015 the British Army adopted an evolving structure (known as Army 2020 Refine) that would see the number of Regular personnel set at 82,000 and see an increase in the number of Reservists to 30,000. This would bring the ratio of regular to part-time personnel in line with the US and Canada and better integrate the Army Reserve into the Regular Army. In addition to the active Regular and Reserve force all former Regular Army personnel may be recalled for duty if required (known as the Regular Reserve). The Regular Reserve has two categories: A and D. Category A is mandatory, with the length of time in the category dependent on time spent in Regular Army service. Category D is voluntary, and consists of personnel who are no longer required to serve in category A. Regular Reserves in both categories serve under a fixed-term reserve contract and may report for training or service overseas and at home, similar to the Army Reserve. In 2007, there were 121,800 Regular Reserves, of which 33,760 served in categories A and D. Beginning in April 2013, the full Regular Reserve strength was no longer reported—only those serving in categories A and D (30,000 in 2015). The table below illustrates British Army personnel figures from 1710 to 2015. The Army Reserve (Territorial Army) was established in 1908. The British Army's basic infantry weapon is the L85A2 or L85A3 assault rifle, sometimes equipped with an L17A2 under-barrel grenade launcher or other attachments with the Picatinny rail. The rifle has several variants, including the L86A2, the Light Support Weapon (LSW) and the L22A2 carbine (issued to tank crews). These weapons are usually equipped with iron sights or an optical SUSAT, although optical sights have been purchased to supplement these. Support fire is provided by the FN Minimi light machine gun and the L7 general-purpose machine gun (GPMG), and indirect fire is provided by L16 81mm mortars. The L129A1 sharpshooter rifle was brought into service during the war in Afghanistan to meet an urgent operational requirement. Sniper rifles include the L118A1 7.62 mm, L115A3 and the AW50F, all manufactured by Accuracy International. Other weapons, such as the L128A1 (Benelli M4) combat shotgun, may be temporarily used. The army's main battle tank is the Challenger 2. It is supported by the Warrior Infantry Fighting Vehicle as the primary armoured personnel carrier and the many variants of the Combat Vehicle Reconnaissance (Tracked) and the FV430 series, which had its engines and armour upgraded as the Bulldog. Light armoured units often utilise the Supacat "Jackal" MWMIK and Coyote for reconnaissance and fire support. The army has three main artillery systems: the Multi Launch Rocket System (MLRS), the AS-90 and the L118 light gun. The MLRS, first used in Operation Granby, has an 85-kilometre (53 mi) range. The AS-90 is a 155 mm self-propelled armoured gun with a 24-kilometre (15 mi) range. The L118 light gun is a 105 mm towed gun used in support of 16 Air Assault Brigade, 3 Commando Brigade of the Royal Marines and the Adaptive Force. To identify artillery targets, the army operates weapon locators such as the MAMBA Radar and utilises artillery sound ranging. For air defence it uses the Short-Range Air Defence (SHORAD) Rapier FSC missile system, widely deployed since the Falklands War, and the Very Short-Range Air Defence (VSHORAD) Starstreak HVM (high-velocity missile) launched by a single soldier or from a vehicle-mounted launcher. Where armour is not required or mobility and speed are favoured the British Army utilises protected patrol vehicles, such as the Panther variant of the Iveco LMV, the Foxhound, and variants of the Cougar family (such as the Ridgeback, Husky and Mastiff). For day-to-day utility work the army commonly uses the Land Rover Wolf, which is based on the Land Rover Defender. Specialist engineering vehicles include bomb-disposal robots and the modern variants of the Armoured Vehicle Royal Engineers, including the Titan bridge-layer, Trojan combat-engineer vehicle, Terrier Armoured Digger and Python Minefield Breaching System. Day-to-day utility work uses a series of support vehicles, including six-, nine- and fifteen-tonne trucks (often called "Bedfords", after a historic utility vehicle), heavy-equipment transporters (HET), close-support tankers, quad bikes and ambulances. Tactical communication uses the Bowman radio system, and operational or strategic communication is controlled by the Royal Corps of Signals. The Army Air Corps (AAC) provides direct aviation support, with the Royal Air Force providing support helicopters. The primary attack helicopter is the Westland WAH-64 Apache, a licence-built, modified version of the US AH-64 Apache which replaced the Westland Lynx AH7 in the anti-tank role. Other helicopters include the Westland Gazelle (a light surveillance aircraft), the Bell 212 (in jungle "hot and high" environments) and the AgustaWestland AW159 Wildcat, a dedicated intelligence, surveillance, target acquisition, and reconnaissance (ISTAR) helicopter. The Eurocopter AS 365N Dauphin is used for special operations aviation, and the Britten-Norman Islander is a light, fixed-wing aircraft used for airborne reconnaissance and command and control. The army operates two unmanned aerial vehicles ('UAV's) in a surveillance role: the small Lockheed Martin Desert Hawk III and the larger Thales Watchkeeper WK450. 2015 Operation Toral: The army maintains a deployment of 500 personnel in support of NATO's Resolute Support Mission. 2014 Operation Shader: The army has personnel stationed in Iraq as part of the ongoing military intervention against ISIL, primarily to assist in the training of Iraqi security forces. With other elements of the British Armed Forces, there were 275 army personnel in 2016. 1964 Operation Tosca: There were 275 troops deployed as part of the UNFICYP in 2016. 1999 International Military Assistance Training Team: The British Army were deployed to Sierra Leone for Operation Palliser in 1999, under United Nations resolutions, to aid the government in quelling violent uprisings by militiamen. Troops remain in the region to provide military support and training to the Sierra Leone government. British troops also provided support during the 2014 West African Ebola virus epidemic. 2017 NATO Response Force: The British Army will deploy up to 800 troops in 2017 as part of its commitment to NATO to counter perceived Russian aggression against the Baltic states. 1949 British Army Training and Support Unit Belize: British troops were based in Belize from 1949 to 1994. Belize's neighbour, Guatemala, claimed the territory and there were a number of border disputes. At the request of the Belize government, British troops remained in Belize after independence in 1981 as a defence force. Although the main training unit was meant to be mothballed after the Strategic Defence and Security Review, in 2015 it continued to be in use. 1701 Royal Bermuda Regiment: Colonial Militia and volunteers existed from 1612 to 1816. The regular English Army, then British Army, Bermuda Garrison was first established by an Independent Company in 1701. Locally recruited reserve units, the Bermuda Militia Artillery (BMA) and Bermuda Volunteer Rifle Corps (BVRC) were raised again from 1894. After the Royal Naval Dockyard was redesignated a naval base in 1951, the army garrison was closed in 1957, leaving only the part-time BMA and BVRC (renamed Bermuda Rifles in 1949). All regular army personnel other than members of the Permanent Staff of the local Territorials were withdrawn. Home defence has been provided by the Royal Bermuda Regiment since the 1965 amalgamation of the BMA and Bermuda Rifles. 1962 British Forces Brunei: One battalion of the Royal Gurkha Rifles, British Garrison, Training Team Brunei (TTB) and 7 Flight AAC. A Gurkha battalion has been maintained in Brunei since the Brunei Revolt in 1962 at the request of Sultan Omar Ali Saifuddin III. Training Team Brunei (TTB) is the Army's jungle-warfare school, and a small number of garrison troops support the battalion. 7 Flight AAC provides helicopter support to the Gurkha battalion and TTB. 1972 British Army Training Unit Suffield: A training centre in Alberta prairie for the use of British Army and Canadian Forces under agreement with the government of Canada. British forces conduct regular, major armoured training exercises every year, with helicopter support provided by 29 (BATUS) Flight AAC. 1960 Two resident infantry battalions, Royal Engineers and Joint Service Signals Unit at Ayios Nikolaos as part of British Forces Cyprus. The UK retains two Sovereign Base Areas on Cyprus after the rest of the island's independence, which are forward bases for deployments to the Middle East. Principal facilities are Alexander Barracks at Dhekelia and Salamanca Barracks at Episkopi. 1982 Part of British Forces South Atlantic Islands: The British Army contribution consists of an infantry company group and an Engineer Squadron. Previously, a platoon-sized Royal Marines Naval Party was the military presence. After the war in 1982 between Argentina and the UK, the garrison was enlarged and bolstered with a base at RAF Mount Pleasant on East Falkland. 1945–2020 Part of British Forces Germany: Home of the 1st (UK) Armoured Division. British forces remained in Germany after the end of the Second World War. The forces were reduced considerably after the end of the Cold War and in October 2010, Prime Minister David Cameron announced large cuts in defence; all UK troops currently in Germany will leave by 2020. 1704 Part of British Forces Gibraltar: A British Army garrison is provided by an indigenous regiment, the Royal Gibraltar Regiment. 2010 British Army Training Unit Kenya: The army has a training centre in Kenya, under an agreement with the Kenyan government, which provides training facilities for three infantry battalions per year. Army Headquarters is located in Andover, Hampshire. The army's structure is broadly similar to the Royal Navy and Royal Air Force, in that the four-star (general-equivalent) field commands have been eliminated. Under the Army 2020 Command structure, the Chief of the General Staff is in charge of Army Headquarters. There are four lieutenant-general posts in Army headquarters: the Deputy Chief of the General Staff, the Commander Field Army, the Commander Home Command and the Commander Allied Rapid Reaction Corps. Army Headquarters is responsible for providing forces at operational readiness for employment by the Permanent Joint Headquarters. The command structure is hierarchical, with divisions and brigades controlling groups of units. Major units are regiment/battalion-sized, and minor units are company-sized units (or platoons). All units are Regular (full-time) or Army Reserve (part-time). Naming conventions of units differ for historical reasons, creating some confusion; the term "battalion" in the infantry is synonymous with a cavalry, artillery or engineer regiment, and the infantry "company" is synonymous with an engineer or cavalry squadron and an artillery battery. The table below illustrates the different names for equivalent units. Adding to the confusion is the tendency of units (again for historical reasons) to misuse titles for larger administrative structures. Although the Royal Artillery consists of 13 Regular regiments (equivalent to infantry battalions), it calls itself the Royal Regiment of Artillery when referring to the units as a whole. The Royal Logistic Corps and Intelligence Corps are not corps-sized, but corps in this instance are administrative branches consisting of several battalions or regiments. Reaction forces: A modified 16 Air Assault Brigade and an armoured division (3rd Division) of three armoured infantry brigades (1st, 12th and 20th Armoured Infantry Brigades). In 2020, this division will reorganise and consist of two armoured infantry brigades and two strike brigades. Adaptive forces: The 1st Division, consisting of seven infantry brigades. In 2020, the adaptive force will consist of specialised infantry battalions who will train, advise, assist, mentor and accompany operations by indigenous forces. Force Troops Command: Nine brigades of supporting units which supplement the reaction and adaptive forces. For operational tasks the most common unit is the battlegroup, formed around a combat unit and supported by units (or sub-units) from other areas. An example of a battlegroup in the Reactive Force (e.g. the 1st Brigade) would be two companies of armoured infantry (e.g. from the 1st Battalion of the Mercian Regiment), one squadron of heavy armour (e.g. A Squadron of the Royal Tank Regiment), a company of engineers (e.g. B Company of the 22nd Engineer Regiment), a battery of artillery (e.g. D Battery of the 1st Regiment of the Royal Horse Artillery) and smaller attachments from medical, logistic and intelligence units. Typically organised and commanded by a battlegroup headquarters and named after the unit which provided the most combat units, in this example it would be the 1 Mercian Battlegroup). This creates a self-sustaining mixed formation of armour, infantry, artillery, engineers and support units, typically 600 to 1,000 soldiers commanded by a lieutenant colonel. The table below demonstrates how three or four battlegroups make up a brigade and three or four brigades make up a division. A division is currently the largest unit the British Army is capable of deploying independently, although it could be grouped with three or four other divisions from a multi-national coalition to form a corps. The British Army contributes two of the three special forces formations to the United Kingdom Special Forces directorate: the Special Air Service and Special Reconnaissance Regiments. The Special Air Service consists of one regular-army and two reserve regiments. The regular regiment, 22 SAS, has its headquarters at Stirling Lines, Credenhill in Herefordshire. It consists of five squadrons (A, B, D, G and Reserve) and a training wing. 22 SAS is supported by two reserve regiments: 21 SAS and 23 SAS—collectively, the Special Air Service (Reserve) (SAS [R])—under the command of the 1st Intelligence, Surveillance and Reconnaissance Brigade. The Special Reconnaissance Regiment (SRR), formed in 2005, performs close reconnaissance and special surveillance tasks. The Special Forces Support Group, under the operational control of the Director of Special Forces, provides operational manoeuvring support to the United Kingdom Special Forces. The British Army historically included many units from what are now separate Commonwealth realms. When the English Empire was established in North America, Bermuda, and the West Indies in the early Seventeenth Century there was no standing English Army, only the Militia, and this was extended to the colonies. Colonial Militias defended colonies single-handedly at first against Indigenous peoples and European competitors. Once the standing English Army, later the British Army, came into existence, the colonial Militias fought side-by-side with it in a number of wars, including the Seven Years' War. Some of the colonial Militias rebelled during the American War of Independence. Militia fought alongside the regular British Army (and Native allies) in defending British North America from their former countrymen during the American War of 1812. With the growth of the Empire around the world, Non-European (i.e., non-white, except for officers) units were recruited in many colonies and protectorates, but most were deemed auxiliaries and not part of the British Army. The West India Regiments were an exception, as they were fully incorporated into the British Army, but were kept outside of Europe and non-whites were denied commissions. Locally raised units in strategically-located colonies (including Bermuda, Gibraltar, Malta) and the Channel Islands were generally more fully integrated into the British Army as evident from their appearances in British Army Lists, unlike units such as King's African Rifles. The larger colonies (Australia, New Zealand, Canada, South Africa, et cet.) mostly achieved Commonwealth Dominion status before or after the First World War and were granted granted full legislative independence in 1931. While remaining within the British Empire, this placed their governments on a par with the British Government, and hence their military units comprised separate armies (e.g. the Australian Army), although Canada retained the term Militia for its military forces until the Second World War. From the 1940s, these Dominions and many colonies chose full independence, usually becoming Commonwealth realms (as member states of the Commonwealth are known today). 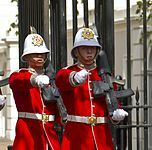 Although the army primarily recruits within the United Kingdom, it accepts applications from Commonwealth citizens and (occasionally) those from friendly nations who meet certain criteria. In 2016, it was decided to open all roles to women in 2018; women had not previously been permitted to join the Combat Arms. The British Army is an equal-opportunity employer (with some exceptions due to its medical standards), and does not discriminate based on race, religion or sexual orientation. The minimum age is 16 (after the end of GCSEs), although soldiers under 18 may not serve in operations. The maximum recruitment age is 35 years and 6 months, and the maximum age for Army Reserve soldiers is 49 years old, as of November 2018[update]. A soldier would traditionally enlist for a term of 22 years, although recently there has been a shift towards 12-year terms with a 22-year option. A soldier is not normally permitted to leave until they have served for at least four years, and must give 12 months' notice. I, [soldier's name], swear by Almighty God that I will be faithful and bear true allegiance to Her Majesty Queen Elizabeth II, her heirs and successors and that I will as in duty bound honestly and faithfully defend Her Majesty, her heirs and successors in person, crown and dignity against all enemies and will observe and obey all orders of Her Majesty, her heirs and successors and of the generals and officers set over me. Others replace the words "swear by Almighty God" with "solemnly, sincerely and truly declare and affirm". Royal Military Academy Sandhurst (RMAS) is the officer-training school, and Royal School of Artillery (RSA) trains the Royal Artillery. Royal School of Military Engineering (RSME) trains the Corps of Royal Engineers. The Army Training Regiment, Grantham provides training for Army Reserve recruits, and the Army Training Regiment, Pirbright provides training for the Army Air Corps, the Royal Artillery, the Royal Corps of Signals, the Royal Logistic Corps, the Royal Electrical and Mechanical Engineers, the Adjutant General's Corps, the Royal Army Medical Corps and the Intelligence Corps. The Army Training Regiment, Winchester trains the Royal Armoured Corps, the Army Air Corps, the Royal Artillery, the Royal Engineers, the Royal Corps of Signals, the Royal Logistic Corps, the Royal Electrical and Mechanical Engineers, the Adjutant General's Corps, the Royal Army Medical Corps and the Intelligence Corps. There is an Infantry Training Centre at Catterick and an Infantry Battle School in Brecon. Other training centres are the Army Foundation College (Harrogate) and Army Training Units. The army's official flag is the 3:5 ratio Union Jack, although a non-ceremonial flag flies at the Ministry of Defence building in Whitehall and is often used at recruiting and military events and exhibitions. It represents the army on the Cenotaph at Whitehall in London, the UK memorial to its war dead. Each British Army unit has a set of flags, known as the colours—normally a Regimental Colour and a Queen's Colour (the Union Jack). Non-ceremonial army flag; "Army", in gold letters, sometimes appears below the badge. Each regiment and corps has distinctive insignia, such as a cap badge, beret, tactical recognition flash or stable belt. Many units also call soldiers of different ranks by different names; a NATO OR-1 (private) is called a guardsman in Guards regiments, a gunner in artillery units and a sapper in engineer units. These names do not affect a soldier's pay or role. The British Army uniform has sixteen categories, ranging from ceremonial uniforms to combat dress to evening wear. No. 8 Dress, the day-to-day uniform, is known as "Personal Clothing System – Combat Uniform" (PCS-CU) and consists of a Multi-Terrain Pattern (MTP) windproof smock, a lightweight jacket and trousers with ancillary items such as thermals and waterproofs. The army has introduced tactical recognition flashes (TRFs); worn on the right arm of a combat uniform, the insignia denotes the wearer's regiment or corps. In addition to working dress, the army has a number of parade uniforms for ceremonial and non-ceremonial occasions. The most-commonly-seen uniforms are No.1 Dress (full ceremonial, seen at formal occasions such as at the changing of the guard at Buckingham Palace) and No.2 Dress (Service Dress), a brown khaki uniform worn for non-ceremonial parades. ^ English/Scottish parliamentary control 1689, British parliamentary control 1707. ^ Figure current as of 1 May 2018[update]. ^ Clifford Walton (1894). History of the British Standing Army. A.D. 1660 to 1700. pp. 1–2. ^ Noel T. St. John Williams (1994). Redcoats and courtesans: the birth of the British Army (1660–1690). Brassey's. p. 16. ^ a b Chandler, David (2003). The Oxford history of the British Army. Oxford University Press. p. xv. ISBN 978-0-19-280311-5. It is generally accepted that the regular standing army in Britain was officially created – in the sense of being fully accommodated within parliamentary control in 1689, although it is, strictly speaking, only correct to refer to the British army from the Act of Union with Scotland in 1707. ^ "Lieutenant General Mark Carleton-Smith appointed new Chief of the General Staff". gov.uk. 5 May 2018. Archived from the original on 16 June 2018. Retrieved 5 May 2018. ^ "UK Armed Forces Monthly Personnel Report – Jan 2018" (PDF). Archived (PDF) from the original on 1 May 2018. ^ Williams, Noel T. St John (1 January 1994). Redcoats and courtesans: the birth of the British Army (1660–1690). Brassey's (UK). pp. 1–2. ^ Walton, Clifford (1 January 1894). History of the British Standing Army. A.D. 1660 to 1700. Harrison and Sons. p. 16. ^ a b c "Commanding Officers Guide. Manual of Service Law (JSP 830, Volume 1, Chapter 18)" (PDF). Archived (PDF) from the original on 8 October 2015. ^ "Bill of Rights 1689". UK Parliament. Archived from the original on 12 March 2017. Retrieved 9 March 2017. ^ a b c d cgsmediacomma-amc-dig-shared@mod.uk, The British Army,. "The British Army – Higher Command". www.army.mod.uk. Archived from the original on 28 January 2017. Retrieved 9 March 2017. ^ Louis, William Roger; Low, Alaine M.; Porter, Andrew (1 January 2001). The Oxford History of the British Empire: The nineteenth century. Oxford University Press. p. 332. ISBN 978-0-19-924678-6. ^ Johnston, Douglas; Reisman, W. Michael (26 December 2007). The Historical Foundations of World Order: The Tower and the Arena. BRILL. p. 508. ISBN 978-90-474-2393-5. ^ cgsmediacomma-amc-dig-shared@mod.uk, The British Army,. "The British Army – Operations and Deployments". www.army.mod.uk. Archived from the original on 28 January 2017. Retrieved 9 March 2017. ^ David G. Chandler, ed., The Oxford history of the British army (1996) pp 24–45. ^ Trowbridge, Benjamin (11 August 2015). "A victorious army in the making: Raising King Henry V's army of 1415". National Archives. Archived from the original on 18 October 2017. Retrieved 17 October 2017. ^ Rogers 1968, pp. 207–211. ^ "'Charles II, 1661: An Act declaring the sole Right of the Militia to be in King and for the present ordering & disposing the same. ', Statutes of the Realm: volume 5: 1628–80 (1819),". pp. 308–309. Archived from the original on 27 September 2007. Retrieved 5 March 2007. ^ Clayton, Anthony (2014). The British Officer: Leading the Army from 1660 to the Present. Routledge. p. 12. ISBN 978-1-317-86444-8. The first standing Army for Britain, a force of some 5,000 men on the English establishment, was formed at the Restoration in 1660–61. Separate forces were maintained on the Scottish and Irish establishments. ^ Glozier, Matthew; Onnekink, David (2007). War, religion and service: Huguenot soldiering, 1685–1713. Ashgate. p. 31. ISBN 0-7546-5444-3. After the Restoration there were separate English, Scottish (until 1707) and Irish (until 1800) military establishments, reflecting the national revenue from which a military unit was maintained. In operational and administrative matters all three combined into a single formation. From 1688, the description 'British' army is both convenient and accurate. ^ Chandler, ed., The Oxford history of the British army (1996) pp 46–57. ^ Correlli Barnett, Britain and her army, 1509–1970: a military, political and social survey (1970) pp 90–98, 110–25. ^ "History". British Army. Archived from the original on 18 January 2017. Retrieved 12 January 2017. ^ Royal Scots Greys 1840, pp. 56–57. ^ a b Mallinson 2009, p. 165. ^ Mallinson 2009, p. 104. ^ a b Mallinson 2009, p. 106. ^ a b Bates 2010, p. 25. ^ a b Taonga, New Zealand Ministry for Culture and Heritage Te Manatu. "1. – New Zealand wars – Te Ara Encyclopedia of New Zealand". www.teara.govt.nz. Archived from the original on 3 April 2017. Retrieved 17 March 2017. ^ a b "The Fenian Raids". Doyle.com.au. 15 September 2001. Archived from the original on 4 April 2012. Retrieved 28 March 2011. ^ Mallinson 2009, p. 203. ^ Mallinson 2009, p. 195. ^ Mallinson 2009, p. 110. ^ Mallinson 2009, p. 177. ^ "Guide to the War of 1812". Loc.gov. 30 July 2010. Archived from the original on 5 August 2011. Retrieved 28 March 2011. ^ "No. 24992". The London Gazette. 1 July 1881. p. 3300. ^ Cassidy 2006, p. 79. ^ "Agreement concerning Persia". Archived from the original on 8 July 2016. Retrieved 23 July 2016. ^ Ensor 1980, pp. 525–526. ^ Chisholm 1911, p. 3. ^ Mallinson 2009, p. 310. ^ "Mark I tank". Web.archive.org. Archived from the original on 14 October 2007. Retrieved 28 March 2011. ^ here, RAF Details. "RAF – World War 1". www.raf.mod.uk. Archived from the original on 29 January 2017. Retrieved 17 March 2017. ^ Michael Duffy (22 August 2009). "Weapons of War: Poison Gas". Firstworldwar.com. Archived from the original on 21 August 2007. Retrieved 28 March 2011. ^ a b Mallinson 2009, p. 335. ^ Mallinson 2009, p. 342. ^ Taylor 1976, p. 157. ^ "D-Day and the Battle of Normandy". Ddaymuseum.co.uk. Archived from the original on 21 June 2013. Retrieved 28 March 2011. ^ Gilbert 2005, p. 301. ^ Taylor 1976, p. 210. ^ "Falklands Surrender Document". 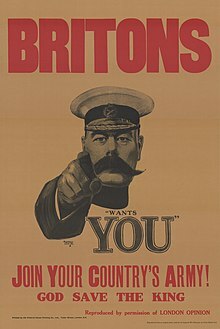 Britains-smallwars.com. 14 June 1982. Archived from the original on 1 May 2011. Retrieved 28 March 2011. ^ Mallinson 2009, p. 411. ^ "Last troops pull out of Bessbrook". BBC News Online. 25 June 2007. Archived from the original on 20 August 2007. Retrieved 8 August 2009. ^ "50,000 troops in Gulf illness scare". The Guardian. 11 June 2004. Archived from the original on 29 October 2016. Retrieved 17 December 2016. ^ "Supreme sacrifice: British soldier killed in Iraq was unemployed TA man". Thefreelibrary.com. 28 August 2003. Archived from the original on 30 April 2011. Retrieved 28 March 2011. ^ "Former Yugoslavia and the Role of British Forces". politics.co.uk. Archived from the original on 18 March 2017. Retrieved 17 March 2017. ^ a b "UK Post-WW2 Operational Deaths" (PDF). Archived (PDF) from the original on 7 May 2016. ^ "Army paper says IRA not defeated". BBC News. 6 July 2007. Archived from the original on 18 November 2010. Retrieved 21 March 2008. ^ Bloomfield, K Stormont in Crisis (Belfast 1994) p. 114. ^ McKernan 2005, p. 17. ^ a b "Operation Banner: An analysis of military operations in Northern Ireland" (PDF). Ministry of Defence. 2006. Archived from the original (PDF) on 27 February 2008. Retrieved 21 March 2008. ^ "Tabulations (Tables) of Basic Variables". Cain.ulst.ac.uk. Archived from the original on 13 May 2011. Retrieved 28 March 2011. ^ Harding, Thomas (7 February 2005). "Troop deaths in Ulster 'higher than thought'". Telegraph. Archived from the original on 21 September 2018. Retrieved 10 March 2019. ^ Mallinson 2009, p. 452. ^ "Why we are in Afghanistan". Ministry of Defence (MoD). Archived from the original on 22 October 2014. Retrieved 7 November 2014. ^ "British fatalities in Afghanistan". MoD. Archived from the original on 25 July 2015. Retrieved 7 November 2014. ^ "UK ends Afghan combat operations". BBC News. 26 October 2014. Archived from the original on 26 October 2014. Retrieved 26 October 2014. ^ a b "UK to increase troops in Afghanistan from 450 to 500". The Guardian. 9 July 2016. Archived from the original on 7 February 2017. Retrieved 4 January 2017. ^ "Timeline: UK troops in Basra". BBC News. Archived from the original on 3 April 2009. Retrieved 9 March 2017. ^ "British Troops Leave Iraq As Mandate Ends". Rferl.org. 31 July 2009. Archived from the original on 18 November 2010. Retrieved 22 October 2010. ^ "UK Operations in Syria and Iraq" (PDF). 2015. Archived (PDF) from the original on 18 March 2017. ^ "Operations in the UK: Defence Contribution to Resilience" (PDF). Ministry of Defence. 2007. Archived (PDF) from the original on 5 March 2016. Retrieved 1 May 2017. ^ "UK Operations". Archived from the original on 21 April 2017. ^ Travis, Alan; MacAskill, Ewen (24 May 2017). "Critical threat level: who made the decision and what does it mean?". The Guardian. ISSN 0261-3077. Archived from the original on 26 May 2017. Retrieved 28 May 2017. ^ a b "UK Armed Forces Monthly Personnel Statistics" (PDF). December 2016. Archived (PDF) from the original on 11 February 2017. ^ dasa.mod – reserves and cadet strengths Archived 2 February 2014 at the Wayback Machine, table 3-page 13 – read note 2. April 2013. ^ dasa.mod – reserves and cadet strengths Archived 3 December 2013 at the Wayback Machine, table 3-page 5. April 2012. ^ gov.uk MoD – reserves and cadet strengths Archived 17 April 2016 at the Wayback Machine, table 1a-page 10. 1 April 2015. ^ Summers, Chris (23 July 2011). "The time when the British army was really stretched". BBC. BBC News. Archived from the original on 22 August 2016. Retrieved 5 July 2016. ^ "23 June 1920". hansard.millbanksystems.com. Hansard – House of Commons. Archived from the original on 20 August 2016. Retrieved 5 July 2016. ^ "Strength (Territorial Army) – 2 November 1930". hansard.millbanksystems.com. Hansard – House of Commons. Archived from the original on 19 August 2016. Retrieved 5 July 2016. ^ a b Brooke-Holland, Louisa; Rutherford, Tom (26 July 2012). International Affairs and Defence: Army 2020. United Kingdom: House of Commons Library. p. 13. ^ "Territorial Army (Recruitment) – 20 March 1950". hansard.millbanksystems.com. Hansard – House of Commons. Archived from the original on 4 March 2016. Retrieved 5 July 2016. ^ "The Territorial Army – 20 July 1960". hansard.millbanksystems.com. Hansard – House of Commons. Archived from the original on 16 May 2013. Retrieved 5 July 2016. ^ "Army Estimates – 12 March 1970". hansard.millbanksystems.com. Hansard – House of Commons. Archived from the original on 4 March 2016. Retrieved 5 July 2016. ^ Berman, Gavin (21 December 2000). House of Commons: Defence Statistics 2000 (PDF). United Kingdom: House of Commons Library. pp. 16–17. Retrieved 5 July 2016. ^ "The British Army – SA80 individual weapon". www.army.mod.uk. Archived from the original on 16 June 2017. Retrieved 9 February 2017. ^ "The British Army – General purpose machine gun". www.army.mod.uk. Archived from the original on 26 January 2017. Retrieved 9 March 2017. ^ "L129A1 sharpshooter Rifle". Archived from the original on 12 June 2018. ^ cgsmediacomma-amc-dig-shared@mod.uk, The British Army,. "The British Army – L115A3 Long range 'sniper' rifle". www.army.mod.uk. Archived from the original on 10 April 2017. Retrieved 9 March 2017. ^ "Combat Shotgun – British Army Website". Army.mod.uk. Archived from the original on 18 November 2010. Retrieved 22 October 2010. ^ ""UKDS 2013"" (PDF). Archived (PDF) from the original on 27 September 2013. Retrieved 29 October 2013. ^ "The British Army – Warrior infantry fighting vehicle". www.army.mod.uk. Archived from the original on 10 April 2017. Retrieved 9 March 2017. ^ "Multi-role Light Vehicle". Defense-update.com. 26 July 2006. Archived from the original on 29 April 2011. Retrieved 28 March 2011. ^ "The British Army – Reconnaissance vehicles". www.army.mod.uk. Archived from the original on 16 March 2017. Retrieved 9 February 2017. ^ cgsmediacomma-amc-dig-shared@mod.uk, The British Army,. "The British Army – Artillery and air defence". www.army.mod.uk. Archived from the original on 10 April 2017. Retrieved 9 March 2017. ^ "Guided Multiple Launch Rocket System (GMLRS) – Think Defence". Think Defence. Archived from the original on 18 March 2017. Retrieved 17 March 2017. ^ "AS-90". Armedforces.co.uk. Archived from the original on 26 April 2011. Retrieved 28 March 2011. ^ "The British Army – 5 Regiment". www.army.mod.uk. Archived from the original on 20 April 2017. Retrieved 9 February 2017. ^ "Rapier missile". Armedforces-int.com. Archived from the original on 13 May 2011. Retrieved 28 March 2011. ^ "The British Army – Protected patrol vehicles". www.army.mod.uk. Archived from the original on 10 April 2017. Retrieved 9 March 2017. ^ "Land Rover Defender". Landrover.com. Archived from the original on 5 April 2011. Retrieved 28 March 2011. ^ "The British Army – Engineering equipment". www.army.mod.uk. Archived from the original on 11 February 2017. Retrieved 9 February 2017. ^ "The British Army – All-terrain mobility platform (ATMP)". www.army.mod.uk. Archived from the original on 11 February 2017. Retrieved 9 February 2017. ^ "The British Army – Engineering and logistics". www.army.mod.uk. Archived from the original on 8 May 2017. Retrieved 9 March 2017. ^ "The British Army – Royal Corps of Signals". www.army.mod.uk. Archived from the original on 23 November 2016. Retrieved 11 February 2017. ^ "Apache". Army.mod.uk. Archived from the original on 15 March 2010. Retrieved 28 March 2011. ^ "The British Army – Gazelle". www.army.mod.uk. Archived from the original on 10 April 2017. Retrieved 17 March 2017. ^ "Bell Huey". Vectorsite.net. Archived from the original on 5 April 2011. Retrieved 28 March 2011. ^ "The British Army – Aircraft". www.army.mod.uk. Archived from the original on 7 February 2017. Retrieved 9 March 2017. ^ Ripley 2008, p. 10. ^ "Islander". Britten-norman.com. Archived from the original on 29 April 2011. Retrieved 28 March 2011. ^ "British Army praises performance of Watchkeeper during debut deployment". Flight global. 17 November 2014. Archived from the original on 10 August 2017. Retrieved 3 February 2017. ^ "The British Army – Unmanned Air Systems". www.army.mod.uk. Archived from the original on 10 April 2017. Retrieved 9 March 2017. ^ "UK military operations in Syria and Iraq" (PDF). Archived (PDF) from the original on 18 March 2017. Retrieved 18 March 2017. ^ a b "The UK and UN Peace Operations: A Case for Greater Engagement: Table 1". Oxford Research Group. Archived from the original on 8 March 2017. Retrieved 7 March 2017. ^ "Sierra Leone profile – Timeline". BBC News. 4 January 2017. Archived from the original on 9 May 2017. Retrieved 17 March 2017. ^ "Britain to send hundreds more troops to Russia border as Cold War tension escalates across Europe". The Daily Telegraph. 27 October 2016. Archived from the original on 1 March 2017. Retrieved 7 March 2017. ^ "UK troops in Estonia to deter 'Russian aggression'". BBC News. 18 March 2017. Archived from the original on 18 March 2017. Retrieved 18 March 2017. ^ "The British Empire, Imperialism, Colonialism, Colonies". www.britishempire.co.uk. Archived from the original on 18 March 2017. Retrieved 17 March 2017. ^ "Belize Asks For Return of British Army". Belizean. 12 February 2013. Archived from the original on 7 April 2013. Retrieved 2 March 2013. ^ "New Lease of Life for British Army Base in Belize". 7 April 2015. Archived from the original on 11 April 2015. Retrieved 7 April 2015. ^ "British Army in Bermuda from 1701 to 1977". Bermuda On Line. Archived from the original on 23 July 2015. Retrieved 22 July 2015. ^ "Royal Anglian soldiers boost Bermuda Regiment". Ministry of Defence. Archived from the original on 23 July 2015. Retrieved 22 July 2015. ^ "The British Army in Brunei". Archived from the original on 9 June 2016. Retrieved 2 March 2013. ^ "The British Army in Canada". Archived from the original on 5 June 2016. Retrieved 2 March 2013. ^ "29 (BATUS) Flight Army Air Corps". Archived from the original on 28 February 2013. Retrieved 2 March 2013. ^ Defence review: Cameron unveils armed forces cuts Archived 19 October 2010 at the Wayback Machine, BBC News Retrieved 19 October 2010. ^ "The British Army in Africa". Archived from the original on 30 June 2016. Retrieved 2 March 2013. ^ "Freedom of Information Act answer from Army Headquarters" (PDF). Army Headquarters. Archived (PDF) from the original on 22 December 2015. Retrieved 13 December 2015. ^ a b c "British Army Formation & Structure". WhoDaresWins.com. 2011. Archived from the original on 29 April 2011. Retrieved 15 April 2011. ^ a b "The British Army – Army 2020 Refine". www.army.mod.uk. Archived from the original on 26 January 2017. Retrieved 9 March 2017. ^ a b c "Strategic Defence and Security Review – Army:Written statement – HCWS367". UK Parliament. Archived from the original on 20 February 2017. Retrieved 9 March 2017. ^ a b "Special Reconnaissance Regiment". Parliament of the United Kingdom. Archived from the original on 25 April 2010. Retrieved 26 March 2010. ^ "UK Defence Statistics 2009" (PDF). Defence Analytical Services Agency. Archived from the original (PDF) on 1 February 2014. Retrieved 26 March 2010. ^ Army Briefing Note 120/14, Newly formed Force Troops Command Specialist Brigades: "It commands all of the Army's Intelligence, Surveillance and Electronic Warfare assets, and is made up of units specifically from the former 1 Military Intelligence Brigade and 1 Artillery Brigade, as well as 14 Signal Regiment, 21 and 23 SAS®." ^ "Special Forces Support Group". Parliament of the United Kingdom. Archived from the original on 24 April 2010. Retrieved 26 March 2010. ^ "Statute of Westminster Adoption Act 1942". National Archives of Australia: Documenting a Democracy. Archived from the original on 16 July 2005. Retrieved 8 August 2005. ^ "Home – FIDF". www.fig.gov.fk. Archived from the original on 2 February 2017. Retrieved 17 March 2017. ^ "UK Government White Paper on Overseas Territories, June, 2012. Page 23" (PDF). Archived (PDF) from the original on 31 October 2012. Retrieved 13 September 2013. ^ "The British Army – Women in the Army". www.army.mod.uk. Archived from the original on 2 February 2017. Retrieved 11 February 2017. ^ "The British Army – Diversity". www.army.mod.uk. Archived from the original on 12 February 2017. Retrieved 11 February 2017. ^ "The British Army – Contact us/FAQs". www.army.mod.uk. Archived from the original on 20 April 2017. Retrieved 9 March 2017. ^ "British Army Terms of Service" (PDF). April 2015. Archived from the original (PDF) on 23 June 2017. ^ "British Army Oath of Allegiance". Archived from the original on 24 December 2010. Retrieved 29 November 2010. ^ "Sandhurst". Royal Berkshire History. Archived from the original on 22 February 2017. Retrieved 7 March 2017. ^ "42nd Battalion arrive at Larkhill Camp on the Salisbury Plain". diggerhistory.info. Archived from the original on 27 April 2015. Retrieved 6 June 2015. ^ "Holdfast secures £3bn MoD deal". The Daily Telegraph. Archived from the original on 8 March 2017. Retrieved 7 March 2017. ^ "Army Training Regiment, Grantham". Ministry of Defence. Archived from the original on 10 July 2016. Retrieved 9 July 2016. ^ "1 ATR, Pirbright". Ministry of Defence. Archived from the original on 11 July 2016. Retrieved 9 July 2016. ^ "2 ATR, Pirbright". Ministry of Defence. Archived from the original on 11 July 2016. Retrieved 9 July 2016. ^ "Army Training Regiment, Winchester". Archived from the original on 30 March 2014. Retrieved 31 March 2014. ^ a b "Phase 1 Basic training for recruits". Archived from the original on 11 May 2012. Retrieved 21 April 2012. ^ "Infantry Battle School, Brecon". Paradata. Archived from the original on 23 April 2014. Retrieved 21 April 2014. ^ "Army Training Units". Ministry of Defence. Archived from the original on 10 April 2017. Retrieved 7 March 2017. ^ "British Army (non-ceremonial)". britishflags.net. Archived from the original on 18 November 2010. Retrieved 22 October 2010. ^ "Whitehall Cenotaph". Webcitation.org. Archived from the original on 31 October 2009. Retrieved 28 March 2011. ^ "The British Army – Ranks". www.army.mod.uk. Archived from the original on 1 December 2017. Retrieved 9 March 2017. ^ "The British Army – Personal clothing". www.army.mod.uk. Archived from the original on 10 April 2017. Retrieved 9 March 2017. ^ a b "Dress Codes and Head Dress". Forces 80. Archived from the original on 19 February 2017. Retrieved 7 March 2017. ^ "badge, unit, tactical recognition flash, British, Royal Corps of Signals". Imperial War Museum. Archived from the original on 8 March 2017. Retrieved 7 March 2017. ^ "Beret definitions". Apparel Search. Archived from the original on 13 June 2017. Retrieved 7 March 2017. Bates, Gill (2010). Rising Star: China's New Security Diplomacy. Brookings Institution Press. p. 25. ISBN 978-0-8157-0453-9. BBC staff (6 January 2007). "Recruitment Age for Army Raised". BBC News. Archived from the original on 18 November 2010. Beevor, Antony (1990). Inside the British Army. London: Chatto & Windus. ISBN 0-7011-3466-6. Buchanan, Michael (27 November 2008). "Irish swell ranks of UK military". BBC. Burnside, Iain (19 May 2010). "Songs for squaddies: the war musical Lads in Their Hundreds". The Guardian. Cassidy, Robert M (2006). Counterinsurgency and the global war on terror: military culture and irregular war. Greenwood Publishing Group. ISBN 0-275-98990-9. Chisholm, Hugh, ed. (1911). "Constantinople" . Encyclopædia Britannica. 7 (11th ed.). Cambridge University Press. p. 3. Chandler, David; Beckett, Ian, eds. (2003). The Oxford History of the British Army. Oxford Paperbacks. Connolly, Sean J. (1998). The Oxford Companion to Irish history. Oxford: Oxford University Press. p. 505. ISBN 978-0-19-211695-6. Ensor, (Sir) Robert (1980) . England: 1870–1914. (The Oxford History of England). XIV (Revised ed.). Oxford: Oxford University Press. ISBN 0-19-821705-6. Fremont-Barnes, Gregory (2009). Who Dares Wins – The SAS and the Iranian Embassy Siege 1980. Osprey Publishing. ISBN 1-84603-395-0. Gilbert, Martin (2005). Churchill and America. Simon & Schuster. p. 301. ISBN 0-7432-9122-0. Heyman, Charles (2009). The Armed Forces of the United Kingdom 2010–2011. Pen & Sword. ISBN 978-1-84884-084-3. Holmes, Richard (2002). Redcoat: The British soldier in the Age of Horse and Musket. HarperCollins. pp. 48, 55–57, 59–65, 177–8. ISBN 978-0-00-653152-4. Holmes, Richard (2011). Soldiers: Army Lives and Loyalties from Redcoat to Dusty Warriors. HarperCollins. Mallinson, Allan (2009). The Making of the British Army. Bantam Press. ISBN 978-0-593-05108-5. McGarrigle, Heather (6 December 2010). "British army sees more Irish recruits". Belfast Telegraph. McKernan, Michael (2005). Northern Ireland in 1897–2004 Yearbook 2005. Stationery Office. p. 17. ISBN 978-0-9546284-2-0. Miller, John (2000). James II. Yale University Press. ISBN 978-0-300-08728-4. Norton-Taylor, Richard (5 April 2008). "Commonwealth recruitment caps & current commonwealth troop levels". The Guardian. London. Archived from the original on 18 November 2010. OED staff (June 2013). "Rupert, n.". Oxford English Dictionary (Online ed.). Oxford University Press. OED staff (June 2013). "Taffy, n.2". Oxford English Dictionary (Online ed.). Oxford University Press. Ripley, Tim (10 December 2008). "UK Army Air Corps received Dauphins". Jane's Defence Weekly. 45 (50): 10. Rogers, Colonel H.C.B. (1968). Battles and Generals of the Civil Wars. Seeley Service & Company. Royal Scots Greys (1840). Historical record of the Royal regiment of Scots dragoons: now the Second, or Royal North British dragoons, commonly called the Scots greys, to 1839. p. 56–57. Sharrock, David (10 September 2008). "Irish recruits sign up for British Army in cross-border revolution". London: The Times. SMH Military correspondent (26 October 1939). "British Army Expansion". The Sydney Morning Herald. p. 5. Retrieved 18 June 2010. Taylor, AJP (1976). The Second World War an illustrated history. Penguin books. ISBN 0-14-004135-4. Taylor, Claire; Brooke-Holland, Louisa (28 February 2012). "Armed Forces Redundancies" (PDF). House of Commons. Retrieved 13 May 2012. Warwick, Nigel W. M. (2014). In every place: The RAF Armoured Cars in the Middle East 1921–1953. Rushden, Northamptonshire, England: Forces & Corporate Publishing Ltd. ISBN 978-0-9574725-2-5. Wikimedia Commons has media related to British Army. This page was last edited on 14 April 2019, at 17:16 (UTC).